What is the worst thing about climate change? 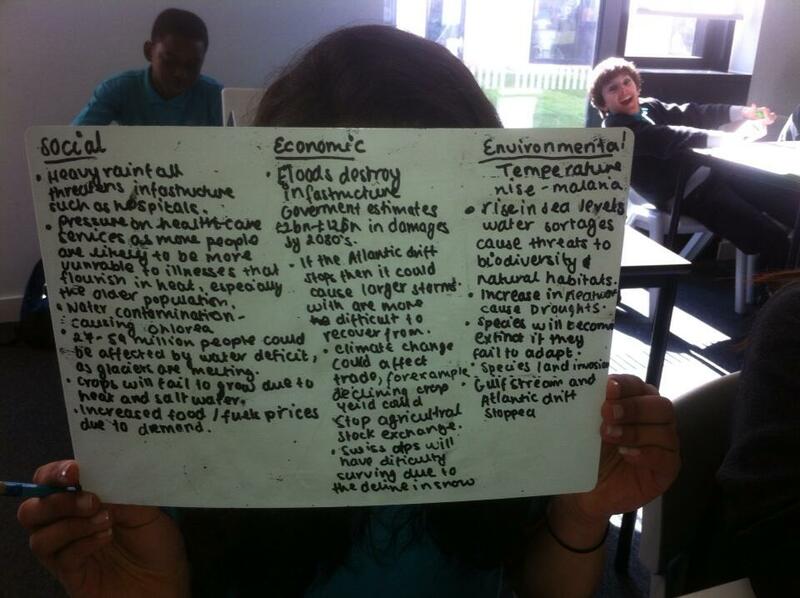 In todays lesson you are going to research the effects of climate change. If you think one is both just put it in the list which you think it is most relevant to. Now read through tow of the web pages on the right of the page and add any effects you find to your list in a different colour. Can you break the effects down into more categories? 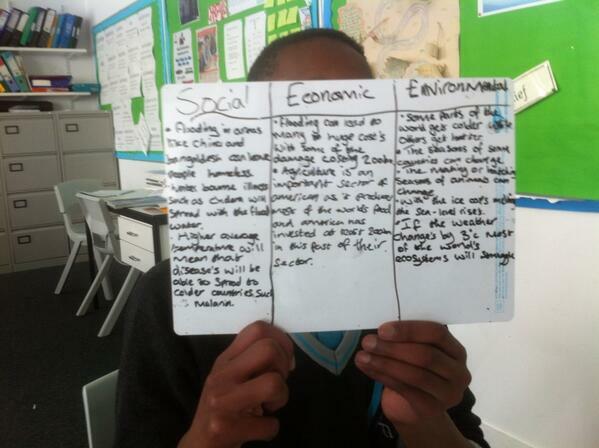 Are there more positive or negative effects? Do any websites tend towards an environmental perspective and why? Now do your own research and find a good source of information for the web page! 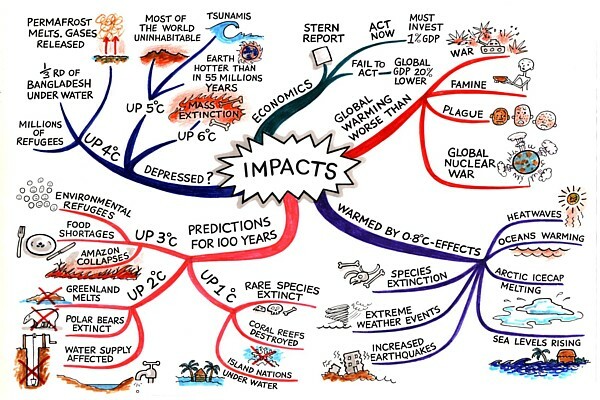 You are going to create a mind Map to show the impacts of climate change, a model is shown below but make sure you use your own ideas! 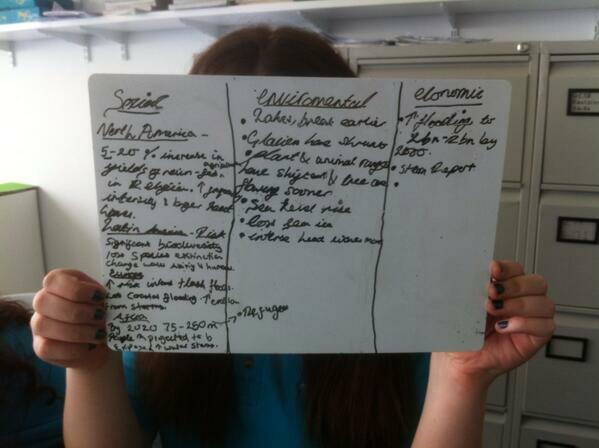 Here are some of the ideas which you came up with.